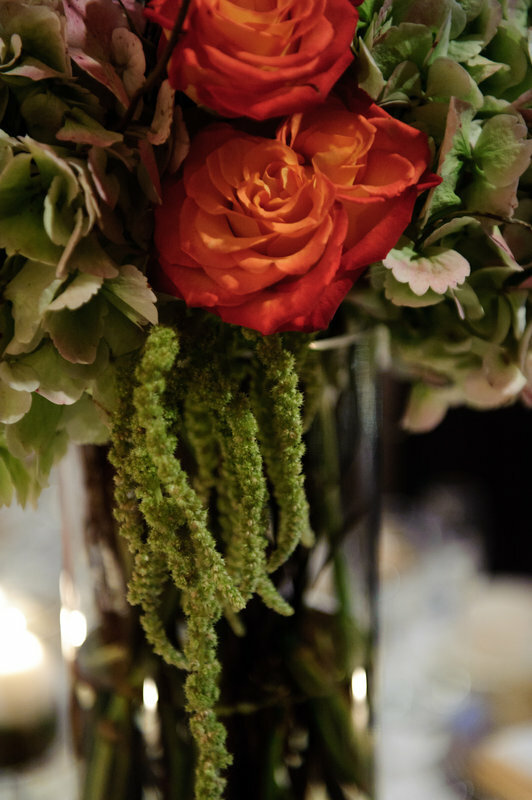 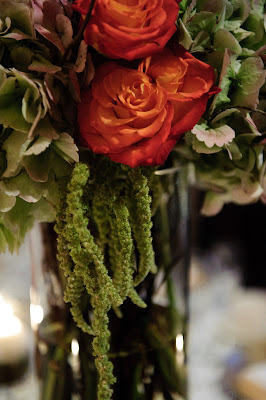 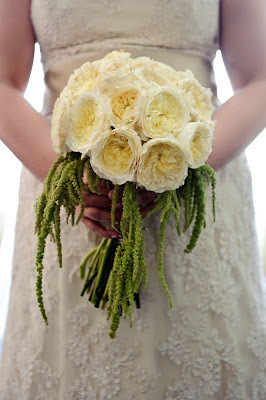 The bridal bouquet was a simple but lush bouquet of ivory garden roses and green hanging amaranthus. 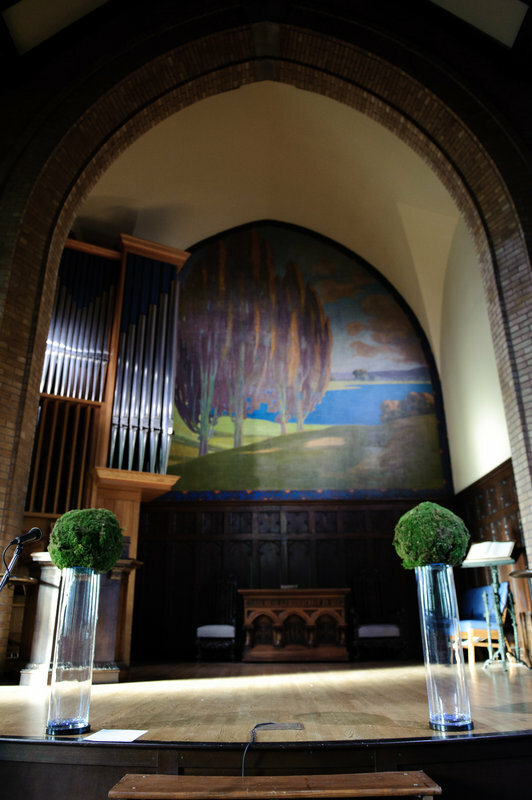 The church was decorated with two tall cylinder vases topped with green moss balls. 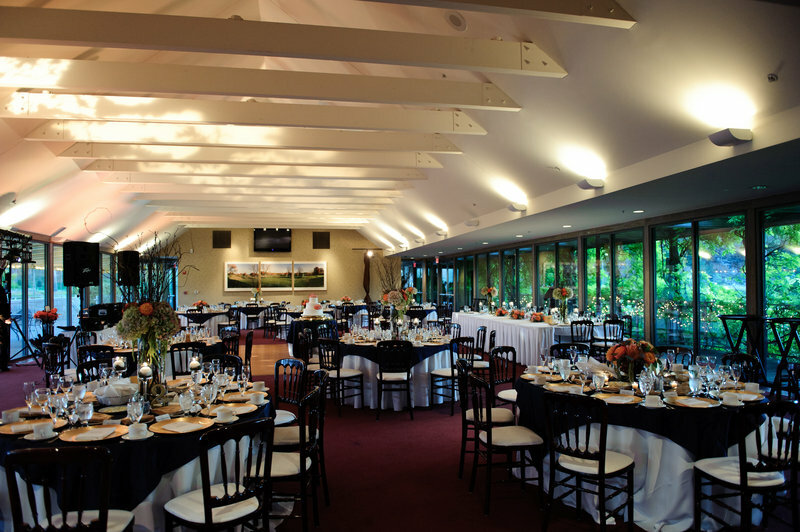 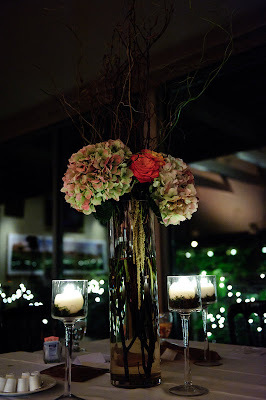 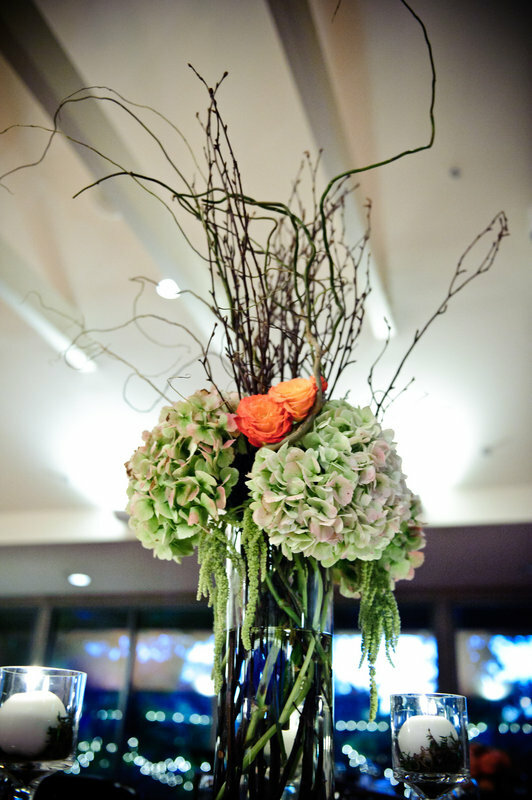 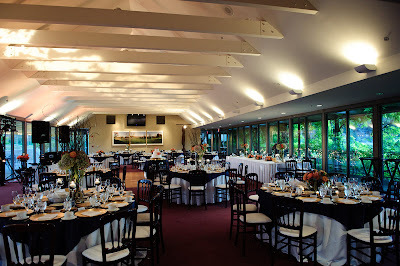 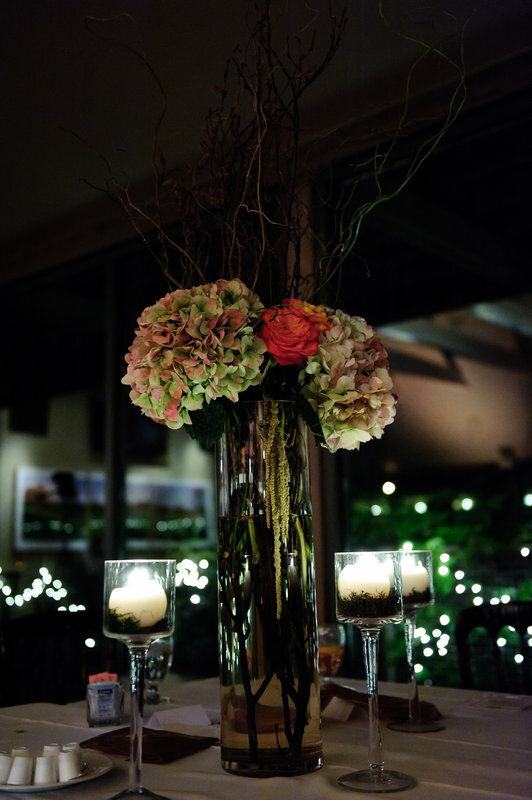 At Forest Park Golf Club, the tables were decorated with high and low centerpieces. 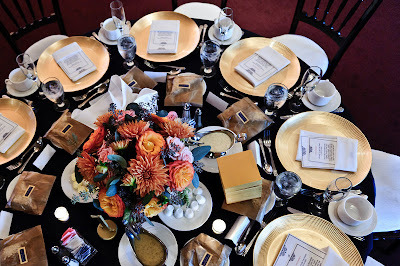 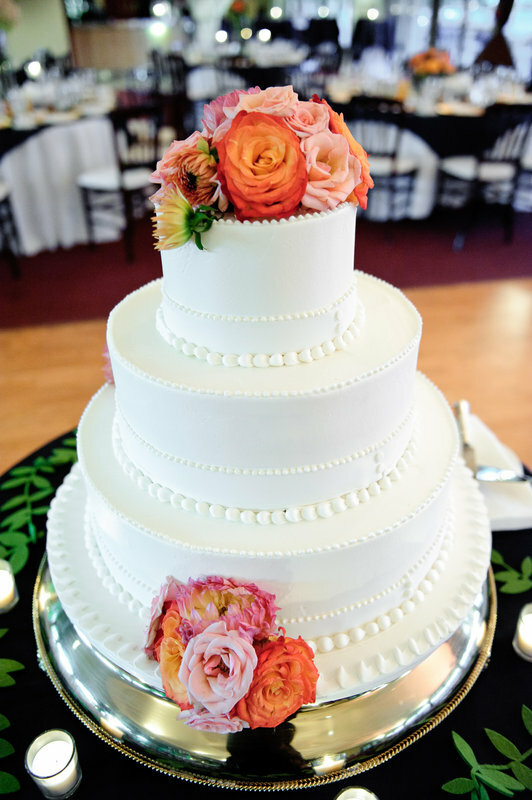 Warm, fall golds, oranges and greens brought more rich tones to the room.